a breakfast serial | shirley does Feminism. It is HOT out. For the past week our air condition has been broken. My frizz is flying, Burt can’t catch a break and that sweat that creeps up at night has found a new home. Popsicles, watermelon and swimming pools sound fantastic to me at all times. Keeping in line with HEAT I recently submitted this post to A Breakfast Serial. Enjoy! This post can also be found at A Breakfast Serial. Step 1: Kid #1 uses raft to make large waves in pool- continue waves, even if body is tired. Step 2: Kid #2 and Kid #3 place bodies in donut floats. Step 3: On your mark, Kid #2 and Kid #3 swim through impending waves. Step 4: First kid to end of deep end wins leg of global guts. Step 5: Winner takes towel, grabs each end of towel, place towel parallel to back (reference superman for further instructions). Step 3: Kid #1 and Kid #2 take towel, wrap towel around head… leaving only face exposed (reference babushka doll for further instructions). Step 3: Turn on television; turn channel to Maury Povich show. 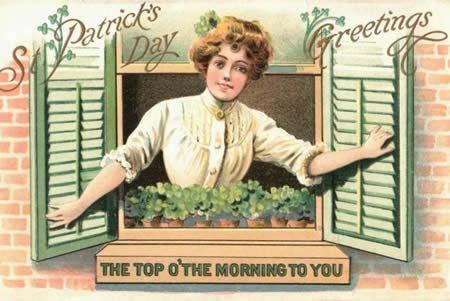 This week A Breakfast Serial features stories about luck in honor of St. Patty’s Day. St. Patrick’s Day is a HUGE deal in Chicago and I adore the excitement is builds within people. Stephen and I signed a lease to a new apartment and I couldn’t be more excited. Slowly but surely we are buying pieces that are quality and we will have for a long period of time. The transition between college life and adult life has been slow in the furniture department due to funds. After this place we will finally have a new bedroom set, rounding out the new house. So freaking excited. As I craft and set up the new place I will update the ol’ blog. Until then I will refer to my prior decorating greatness in a guest blog post I wrote for A Breakfast Serial. 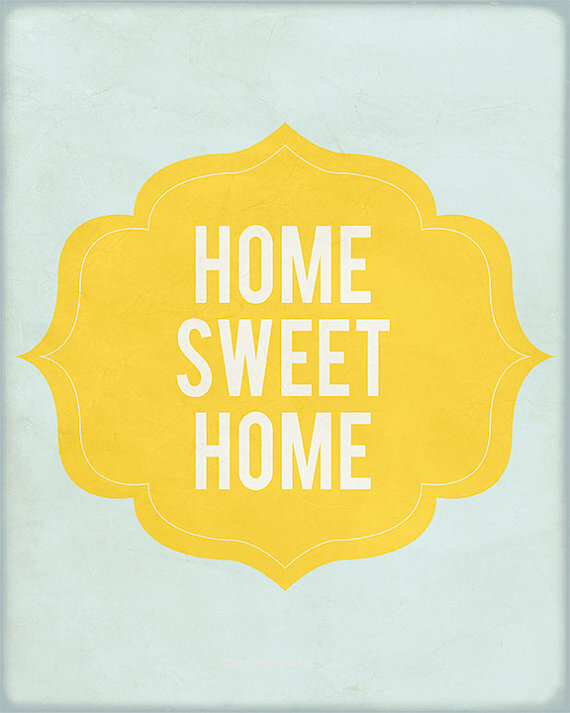 The theme this week is “Home”. Here ya go: Lightening Bolts. I of course can not mention LOVE without talking about the love of my life, Stephen. I was asked to guest blog on A Breakfast Serial for Valentines Day so I am going to actually reference that post as my tribute to Stephen. I could list every reason why I love Stephen here but I am not going to. I will say though that I am always referenced as the activist in our relationship but I LOVE that Stephen is actually a quiet rebel. Not many people know this about him, but I do and I love it. We normally don’t do much for Vday but this year we actually went on a date. We didn’t wait for Valentines Day to celebrate because there was a magnificent opportunity to celebrate our love and we had to take it! 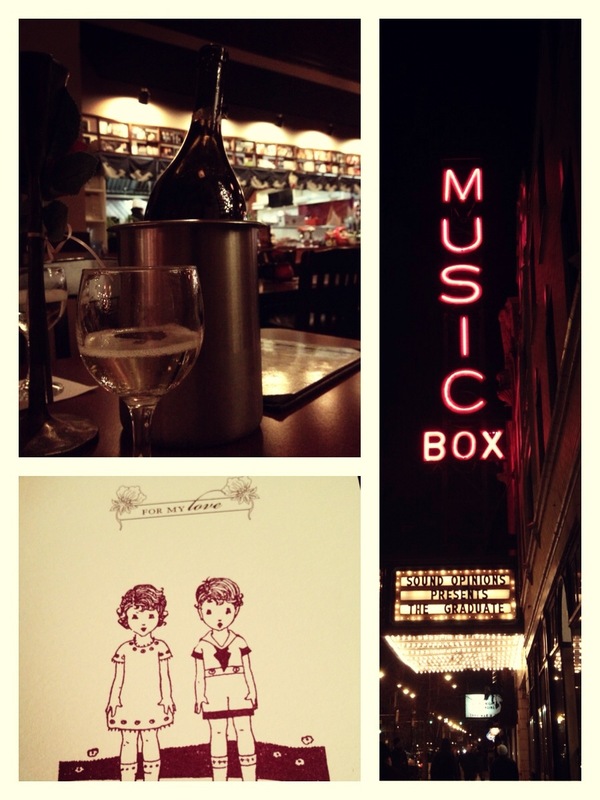 The historic Music Box theater teamed up with Sound Opinions from NPR to show The Graduate. The Graduate is one of my all time favorite films so we just jumped on the opportunity to view the film in theaters. The Graduate is my love for many reasons. I identify with the lost identity of Ben. I think Elaine is beautiful and want all of her clothes. I love the historical transition the film represents. I could not love Simon and Garfunkel any more than I do. All around perfect film. the uncertainty and trust is perfect. We paired our film with sushi, another love in our lives. Perfect date. Perfect husband. 6.5 years down, a bagillion more to go.